Do you live in an area at high risk of flooding? 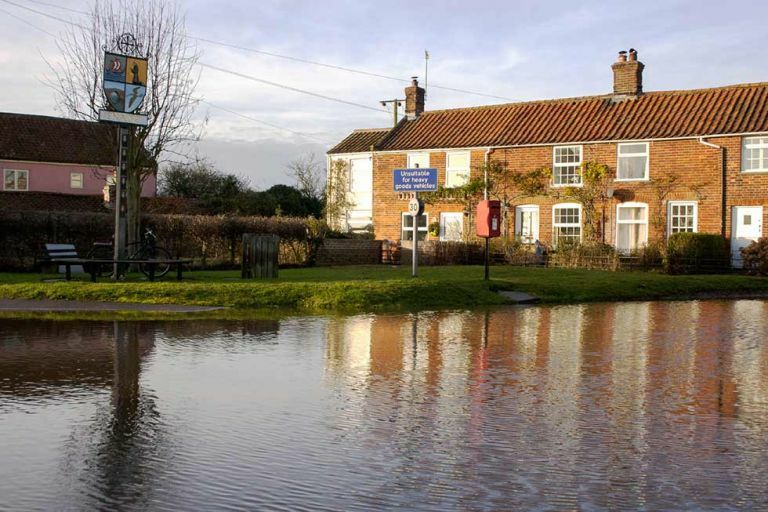 Steve Hodgson, chief executive officer of Property Care Association, a trade body for the structural repair sector, has some practical advice to help homeowners living in a high risk area – and gives advice on what to do if you've been flooded. Find more home restoration features in our dedicated pages. Unfortunately, if your home has already flooded, there is little you can do until the water levels subsides, says Steve Hodgson from the Property Care Association. However, contacting your insurance company should take priority. Don’t be afraid to take responsibility to ensure your claim is processed quickly and you can plan repairs as soon as possible. ‘Drying out your home with dehumidifiers, air movers or heaters will be the first step in the process to recovery. Prior to this, it is important to remove any wet soft furnishings such as sofas and carpets as their high level of water retention will hinder the drying process,’ he explains. In order to dry your home properly you need to understand your building structure, construction materials and fabrics (such as walls, plastic, flooring etc). This will help you to treat each part of your home in the most effective way and put measures in place to prevent damage in future. Visit the Property Care Association or Trust Mark list trusted flood remediation specialists. For more information and useful contacts, The Royal Society for the Prevention of Accidents (RoSPA) has set up a Flood Hub offering advice on how to stay safe during the storms, how to protect your home from damage and how to approach any repair work needed. Visit the Flood Hub for further information. Once it is safe to re-enter your property, it is time to take considered steps to repairing the damage. Seek qualified, professional advice on repairing damage and restoration work, including using a registered electrician and Gas Safe registered engineer.